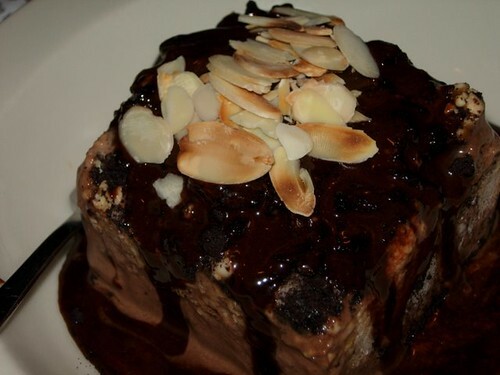 Mocha mud pie which is a huge block of icecream, nuts, brownie, chocolate fudge. TGIF has two sets of menu, for the healthy eater and the big eater which they call the devilishly menu. The above is from the healthy menu. I am not sure what it is ‘cos I didn’t order it. Some cheesy bread. 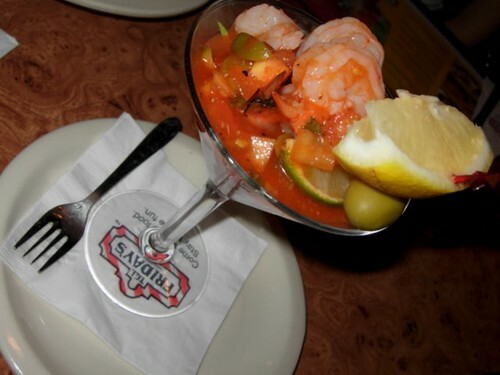 The appetizer served in a martini glass. Large prawns in some tomato salsa. 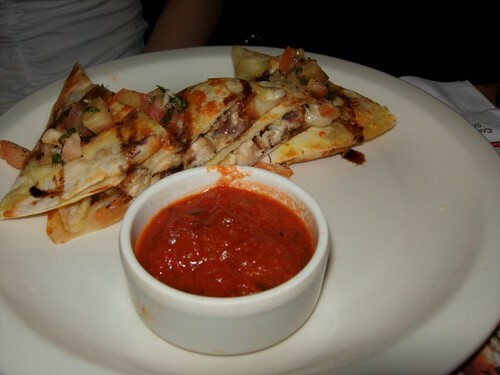 I have more photos of the TGIF set dinner l but I had posted it in my personal blog. The set dinner is only RM39 which includes free flow of soft drinks (if I am not mistaken). LOL, I ordered alcoholic cocktail so I didn’t pay attention if the soft drinks are free. For RM39++, it is a really good bargain. You get appetizer or soup, a main meal and dessert. If you are a food blogger from Malaysia or Singapore, do sign up with Nuffnang. You can make money by placing advertisements on your blog. I had made some nice income from Nuffnang. You can see my cheque received from Nuffnang on my make money blog. Wah… make me hungry only.